The ending to Braid has always been a surprise when new players pick it up. The story is obstuse, given in disjoint bursts so there is already varying amounts confusion to the understanding of what’s going on in the game already. Some sort of story about being obsessed and about the longing for someone, the sleepless nights and the wasted time. Then you go through the puzzles about controlling and manipulating time to find yourself at the game’s ending. Your obsession leads you to finding a princess, whom the player may automatically assume (as one typically does) that they’re their savior, helping her try to escape from the knight once clutching her. You help her by clearing a path of escape, using the pulleys and switches to move obstructions hindering her path of escape. Then you’re forced to hit the rewind. You watch your actions play out with a different narrative. You’re actually the one in pursuit of the princess, trying to hinder her escape by blocking her path, chasing her away with your obsessiveness into the arms of another. The moral lesson was the dangers of obsession and control, but the storytelling lesson is one of context. The learned context from many years of gaming, that you always assume that you’re the hero of the story and that princess always needs saving by you alone. The shallow context given to you in the story that doesn’t explicitly tell you that you are the hero of the story but it does little in dissuading you from this belief. You come into Braid, like many games, with these preconceptions and the story plays on them, making the reveal even more impactful. What’s worth exploring is how much context the player brings with them into a game, and how that changes the impact of the game for the player. From the earliest points that I can remember, I’ve always had a screen in front of me. A color-filled screen with the pratfalls of an oafish Homer Simpson or Fred Flintstones, comedic vaudeville-esque sitcom origins from a Lucielle Ball or Honeymooners, and a more modern innuendo hidden in the guise of children’s cartoons from Rocko and Rugrats. Spending so much time watching these shows, you start to learn the formula that these episodes begin to take. There is a familiarity that you gain with the show and you become accustomed to how an episode plays out. How the story structure is set-up, what the usual resolutions become, the standard cliches and tropes that writers employ. The struggles became familiar, the morals repetitive, and the dialogue less subtle because it becomes much easier to read between the lines with practice and experience from growing up with television. I’m not saying that my story is wholly unique, and that’s kind of the point. Everyone consumes drama, moral systems and conceptual constructs from something, whether it be books, TV, movies, friends and family. It’s almost impossible to get away from because it’s with these stories that we learn what a societal norm is, what should be questioned because of welcomed collective dissent, what moral ideal should people like “the me that preaches” should have. The ideals that are taught to us are many, but often focus on the importance of family and friends, cultural responsibility over self-interest, duty and honor and love-of-country. All messages that we are inundated with by the time we can begin to question these ideals. Norms that we subconsciously learn to implicitly understand. We carry a Cultural Context that has been fostered and bred within us from the very first storybook that we are read, to the first TV show that we become absorbed with. Cultural Context is important to understand because as we consume a medium, like when we play through a game, we have all of these implicit biases towards many events that can happen. Events like an extreme patriotic duty, battling the ultimate evil, having purpose, a troubled upbringing. These themes that get brought up continuously become emotional triggers for us because of the deep indoctrination that we’re given from such an early age. Being so impassioned about duty to disregard humanity is a cruel and evil thing, but if one’s duty leads them to mortal sacrifices then your heart begins to swell with pride and sorrow for their ability to put others above themselves should be exemplified and idolized. 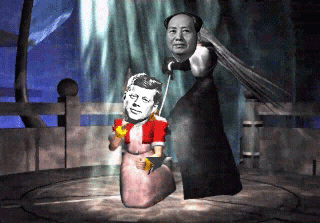 Some of the most emotional moments in gaming history exist both because story-writers have a strong emotional connection from their Cultural Context and because we as players have this strong Cultural Context to these kinds of moments. As an aside, I don’t want to say that just because themes of bravery, sacrifice, family, or whatever Cultural Context we do have automatically makes us weep or some other strong emotional response, but these chords when played correctly produce a much stronger response than with a motif that we would as players would be unfamiliar with. Call of Duty, a game that pulls every war movie trick in the book will always be able to get away with pulling their war-story cards. Always having a national/global incident to focus on, revenge for those that died in the line of duty, the needless loss of life. Nationalism. Honor. Duty. Sacrifice. All a means of giving meaning to death. But what if the warriors of the present weren’t instilled with the ideals of today. What if we as players weren’t even instilled with these kinds of morals? Instead, we viewed sacrifice where death on the battlefield was actually the most cherished of deaths. Not a suicidal death-wish where you are expecting to die, but one where you fight the good fight but still may die in the process. At this point you should’ve seen Mad Max: Fury Road. The tragedy in Fury Road, though, is that one of the goons finds a different meaning for his life than just to die for the cause and it becomes one of the climaxes in the movie when he sacrifices himself to save the group and the girl that he started to gain feelings for. If we were all instilled with this die for Valhalla mentality, though, we wouldn’t feel sad that he had sacrificed himself, but would be happy for him. He had died with a purpose in his life and possibly a chance at going to Valhalla. Much like any of the emotional climaxes in Call of Duty, if we grew up with a much more Norse background, we would all have different feelings about war, sacrifice and death. The death of Roach in Modern Warfare 2, MacTavish in Modern Warfare 3, Elias Walker in Ghosts, etc… Would these deaths be so tragic and emotionally compelling if we didn’t have this Cultural baggage being touted around with us wherever we went? They are all emotionally charged events within the game and help serve to give personal motivation, but if we thought their deaths weren’t something to be pitied but celebrated then it would color out view of the situation differently. Hope, believing that no matter the trouble it can be overcome, and loss of innocence, the disillusioned shattering of walls that were protecting you from things you didn’t even know you had to worry about. Tropes found in most stories with a large scale villain and small scale heroes, and something that prolonged stories found in RPGs are used to seeing. 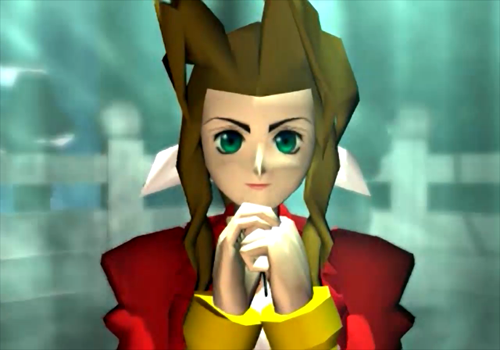 A collective climax to this notion of Hope and Loss of Innocence being the death of Aerith by Sephiroth. Aerith, the homely flower girl waiting for her soldier to return to her. The embodiment of hope and innocence, the fuel that kept the cast moving for the first half of Final Fantasy VII, and the connection between the lifeforce ex machinca meant to save the planet from the evil that’s been slowly killing the planet. In her attempt to using her power to saving the planet she gets snuffed out by Sephiroth (or Jenova in the form of Sephiroth, but that’s gonna make this a bit… complicated to get into that right now). Sephiroth (and Jenova) are both a bit dickish in that he only cares about revenge, the will to be different and the power to make that a reality. For a revenge story it’s pretty tragic. He learns that he’s born from a genetic experiment to create a monster, believes that he is the last of an ancient race that was wiped out and given a purpose of vengeance for his people and the false life that he was given. After being defeated by Cloud in events before the game, he becomes consumed with gaining the power to surpass everybody. 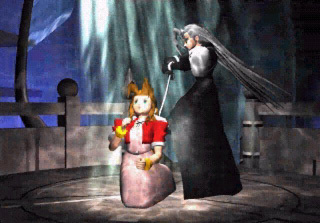 If you frame Sephiroth in a different light, say one without the kill the planet motives, then you might actually feel sorry for Sephiroth and could even make his story a compelling one to follow. Now for the Culture Shift: We are given plenty of emphasis on not losing Hope, perseverance to prevail against the “evils” of the world, and the unnecessary tragedy to those fighting for a good cause can witness, but there are plenty of ways that these motifs could’ve been discouraged in our upbringing. A society that teaches us that only those with power are the ones that should be making the decisions of the world. One where if you died fighting for what you thought was right, then your beliefs weren’t just making your actions acts against the natural order of the world. A propaganda against what we view as human instincts but views to keep people in line. A focus of every dystopian counter-big-power movie and story on the market. But there are definitely countries that this could’ve applied to, especially during times like the Communist oppression of China and Russia, or the ruling Patriarchy of the European Bronze and Iron Ages. You teach your citizens that your cause is just and anyone pushing against the ruling class, the ones with power, can’t be just because the natural order of things falls within the power of the ruling class. Having stories and instruction like this for your lifetime, with everybody else around you speaking this is a law of the world, it blurs the lines more and more to who we should sympathize with. If Sephiroth gains the power of the gods, then it is his right to do with it as he pleases. It falls with the natural order of things we were taught. Communal norms bleed into our perceptions about the world as much as cultural ideals do. We don’t just hear about ideals to strive for in the morality tales passed through our culture, but we also experience them from the people that we interact with. When others are taught to be a government oriented male dominated culture that respects power over humanity, then everyone you interact with has that programming built in and everything they do and say is shaded with that brush, even if only slightly. But communal norms don’t just have to be what to respect but even just how you live. “You are the average of the 5 people that you interact with most,” after all. People striving to help out your community instilling motivations of community-service. Treating your neighbors as part of your extended family and them reciprocating so that everyone you live around can take care of one another, giving everyone a communal responsibility to nag at their conscience. Not getting into the sociological effects of how we lost this in our culture (partly due to increases in car usage), but we lost this more tribal quality in many of the major cities but not small towns where populations are small so you interact with many of the same people daily or other more family oriented cultures still practice and try to pass along this trait. 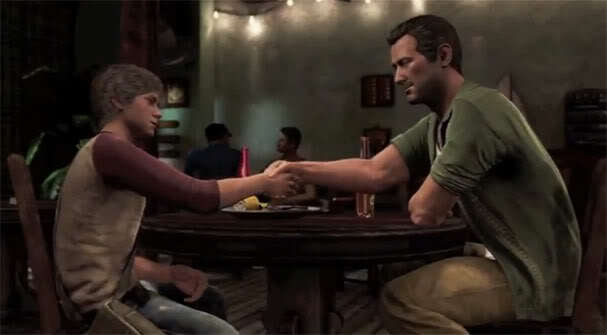 In Uncharted, Nathan Drake grew up an orphan until being taken in by the seasoned thief Sully. The surrogate father story lines gets highlighted in Uncharted 3 becoming one of the major plot-points and trying to push the morals of being the father-figure for someone lost being able to give them direction in life as well as a relationship can mean more than just one of similar blood. Stories of surrogate parents isn’t anything new and have been around forever, found in many of great story games. Bioshock, Bioshock Infinite, Tomb Raider, Uncharted. The impact of these surrogate parent storylines vary but the impact is high because we can sympathize with their stories. Losing your parents is tough but not having anyone to take care of you afterwards as you grow up is the real tragedy. But we live in a culture where only our direct familial relations look after us. Our parents are the main facilitators of our upbringings, but if they were to die we would be extremely lucky if we had an aunt or uncle or grandparents that could also help take care of us. When we have none of these people around, then the real fear sets in and vulnerability felt, one that we hope no kid has to go through. If you drop this storyline in a more communally responsible culture, though, then these stories have a lot less impact though. There is still the tragedy of you losing your parents, but the children are never left vulnerable in not knowing what would happen with them and where they should go afterwards. The people of your community have already spent time taking care of these children and it’s up to the community to continue taking care of them. If we looked at it in their eyes, we would have assumed that Drake would never have been left alone allowing him to try to steal from Sully and leading to their destined introduction. Drake would’ve been brought up by those around him and it’s the fault of their community that Drake turned out to be a smuggler who ran away on his own. It longer becomes a story about an orphan finding a father-figure to teach him the tricks of a learned historian, thief and smuggler, but a story of a runaway troublemaker who finds a mentor who takes up an apprenticeship. The more you play, the more specific your definition. It’s not like how we understand is only shaped by what we hear from the people around us, what we’re taught by societal norms, and what shown by the people we interact with most. How we recognize and become programmed to motifs is by seeing the same patterns coming up over and over again. Probably why we hear and see so many of the same virtues and morals showing up in the same stories is because we train ourselves to become attached to these morals, perpetuating the machine of virtues to imprint on the next generation of viewers. But patterned motifs don’t just come from stories but in how any art is expressed, games included. Games and their designers have a particular motif that they want to portray in both story and level design, either a new mechanic that they build their level around, or building a game around an interesting buddy character, or structuring the groups of levels to have an interesting learn, unlearn, re-integrate structure like a well-formed Sonata. Well thought about carefully, all aspects of gaming have their own motifs that they play with, similar to the similar moral systems that keep reappearing in all of our stories. 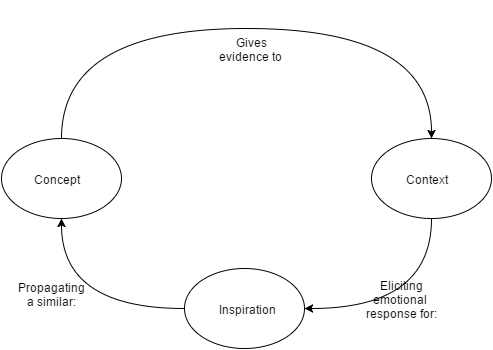 But it’s with these patterned learning that influences the player’s context when approaching a game for the first time. The wisdom in this is that in two parts. It’s hard to keep a game from feeling like a rehashed version of the past, and that the level of experience vary widely in the gaming community and it continues to do so. These two takes on the quote convey a similar message though, that players bring in their own pre-constructed context of what games are to them by the games that they’ve played in their past. In Miyamoto’s case and Mario games, the more experienced players have a deeper bank of gaming templates to pull from and have a deeper knowledge of the tips and tricks to through a Mario game. What to look out for, what they liked and didn’t like from previous Mario games, how levels are typically constructed and so on. But new comers don’t have this bank to withdraw their skills from, or they don’t have a lot invested here yet, making the barrier to entry to a new Mario game much more difficult because they have a lot of things to learn, from movement to level construction and enemy recognition, before they can become a proficient Mario player. 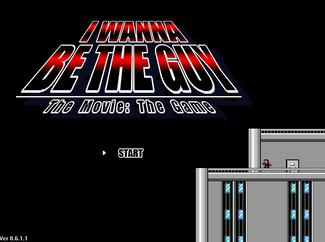 What’s more is that subsequent non-Mario games followed similar tropes that Mario games employed, imprinting to the player that games like Mario should have similar kinds of level design, they need power-ups, they need coins to collect, they need to follow these enemy templates, they need to have hidden warps and shortcuts and secrets to be fun and successful. Having so many games follow similar formulas forces the player to constrict their definition of what “this” kind of game should be and become accustomed to recognizing when a game is following this template. It’s not like it’s always a bad thing that the player has this contextual definition of templating for games. It helps us to identify how we should play a game easily because we’ve developed an intuition for were “this” kind of game should play like. It also helps us understand what doesn’t work well with a game because changes to the formula should ultimately help the formula and not hinder the formula, much like the events and characters in a story should be helping to lead towards the stories conclusion, illuminating the same morals and playing on similar motifs or else they’re at best just taking up story time and at worst playing against the motifs and distracting the viewer from the greater picture and overall message that the story is trying to portray. But letting players develop their ability to template a game well by consistently producing rehashes of similar predecessors can also work against them. Because the player has this context, when you mess with the formula too much or invert the formula to where even the base assumptions that a player has about a game, it can be too much to process. Stroop and McGurk can attest to this. 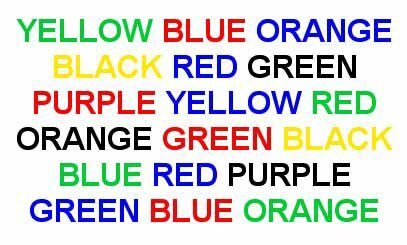 McGurk effect – The struggle to interpret disjoint audible and visual cues. The struggle to disjoint associations of base concepts. When you make associations and assumptions about a concept so deeply that any countering facts to those assumptions take longer to process and we make more mistakes when processing them. If a game goes against a template so drastically, it’s almost impossible not to make mistakes and an inevitability that you have a “cannot comprehend” moment. And that’s where games like Default Dan and Eryi’s Action come into play (and I wanna be the guy before this). You take assumptions on how a platformer should be, what good items look like, what enemies look like, what danger looks like, and invert them. You invert the base assumptions of the game so much that the player has to question everything assumption they have when encountering something new, slowing their progressing down to a sluggish pace until the player essentially reprograms their understanding of what a platformer should be in order to progress within the game. Like many games, they try to challenge us in some way. Many games challenge our concepts of ideals (what is free-will, do choices matter, are there winners in war, is there honor in killing, etc…), they challenge our skills and our ability to adapt to new mechanics (Super Mario, Meat Boy, Halo, League of Legends), but some challenge our assumptions about a game, the context that the player brings into a game with them, and similarly our ability to counteract our well-aged experientially-crafted instincts and adapt in order to play the game well. The context that we bring into a game, as well as any medium, shapes how we experience and interact with a game. We shape that context through our experiences, the stories that others tell us, the stories that we seek ourselves and the stories that we reiterate, reinterpret, and rebuild in what we create. They act as emotional and psychological anchors for us, chains that storytellers and game designers alike can pull and know that we we’ll react in some form because those anchors have been set long ago and only get stronger as similar experiences culturally and socially help to keep it in place. Just an interesting bias to look out for.